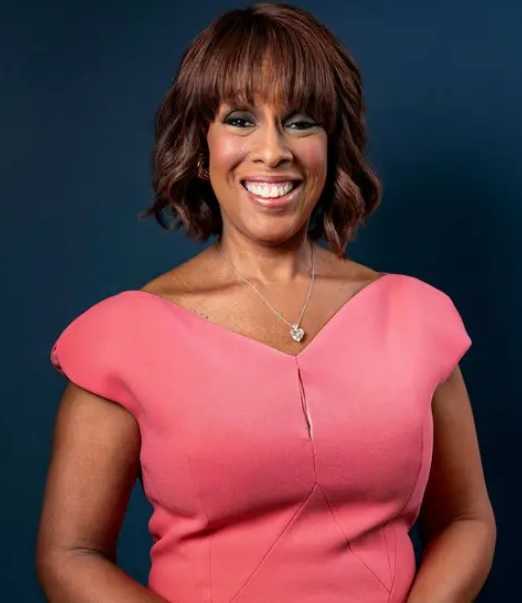 2: Kirby Bumpus and William Bumpus Jr.
Gayle King is an American television personality, journalist, and author. She joined CBS in 2012 as the co-anchor of the CBS News morning show CBS This Morning. Since then, she has been co-anchoring the CBS This Morning. She has been described as one of the top anchors at CBS. She is also an editor-at-large for O, The Oprah Magazine. She has over 612k followers on her Instagram. Co-anchor of the CBS This Morning. Gayle King was born on 28 December 1954. She was born to a father, Scott King and a mother, Peggy King. She belongs to African-American ancestry. Her birth place is in Chevy Chase, Maryland in the United States. She holds American nationality. Her zodiac sign is Capricorn. She spent several years of her childhood in Ankara, Turkey as her father worked there as an electrical engineer. She attended an American school there in Turkey. The family later returned to Maryland in the United States. She attended the University of Maryland, where she graduated with a double degree in psychology and sociology in 1976. She started her television career as a production assistant at WJZ-TV in Baltimore. Oprah Winfrey was an anchor there at the time. King later trained as a reporter at WTOP-TV in Washington, D.C.
She moved to Kansas City, Missouri after working at WJZ. She started working as a weekend anchor and general assignment reporter at WDAF-TV. WFSB hired her as a news anchor in Hartford, Connecticut in 1981. She worked at WFSB for 18 years. She became Emmy Award-winning news anchor. She worked as a special correspondent for The Oprah Winfrey Show. She briefly cohosted an NBC daytime talk show, Cover to Cover with Robin Wagner in 1991. She hosted her own syndicated talk show, The Gayle King Show in 1997. It was canceled after one season due to low ratings. She began hosting The Gayle King Show on XM Satellite Radio in September 2006. She began hosting a new show, also called The Gayle King Show on OWN in January 2011. Her show, The Gayle King ended in November 2011. Her show ended because King was going to CBS to co-anchor CBS This Morning. She was rumored to be replacing for Star Jones in 2006, Rosie O'Donnell in 2007, and Elisabeth Hasselbeck in 2013. But, the rumors did not come out to be true. In 1999, she joined O, The Oprah Magazine as an editor. She worked as a special correspondent for Good Morning America before joining CBS News. She signed a deal with CBS to co-anchor CBS This Morning in November 2011. When it was learned that CBS planned on keeping the findings into sexual abuse and harassment at CBS private, she made a public announcement on air for CBS to have full transparency. It was rumored that King was furious with the controversies and the way things were being handled at CBS This Morning in December 2018. She received recognition for remaining stoic while R. Kelly got up out of his chair and began to scream and beat his chest in an interview discussing the sexual abuse allegations made against the singer. She won an Emmy Award while working as a news anchor. 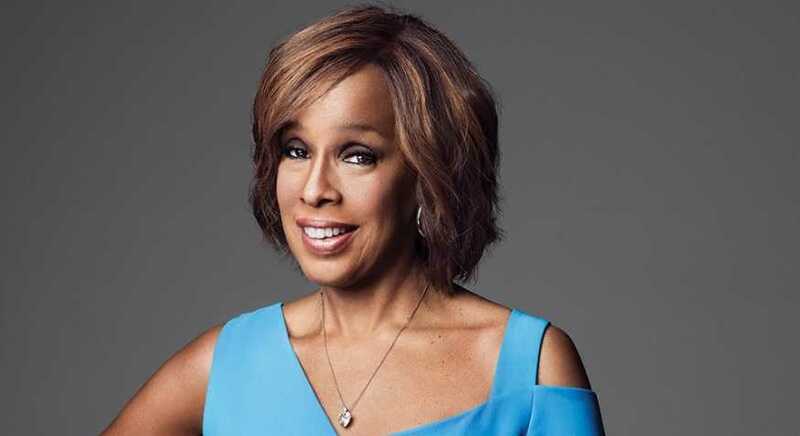 She was inducted into the Broadcasting & Cable Hall of Fame in 2018.
Who is Gayle King Married to? Gayle King was married before. She was married to an attorney and an assistant attorney general, Bill Bumpus. They got married in 1982. They got divorced in 1983. She has two children, a son, and a daughter. She reportedly dated politician Cory Anthony Booker in 2006. Her sexual orientation is straight. She lives in New York City, US. She had previously lived in Turkey, Kansas City, Missouri, Hartford, Connecticut, and Glastonbury. How Tall is Gayle King? Gayle King stands at a height of 1.78 m i.e. 5 feet and 10 inches tall. She has a body weight of 150 lbs i.e. 68 kg. She has an average body build. She has size 10 feet. She has dark brown eyes and her hair color is also black. What is Gayle King's Net Worth? Gayle King who joined CBS News has %5.5 million-a-year deal with the network. She is reported to be signing a multi-million dollar deal with the network in March 2019. She is considered one of the top anchors in the CBS network. As of 2019, her net worth is estimated at $20 million. Her father was an electrical engineer, whereas her mother was a homemaker. She is best friends with Oprah Winfrey and Howard Stern. She has appeared in the movie, Manchurian Candidate in 2004, the tv series Being Mary Jane in 2013, and The Boss in 2016. She was featured on the cover of January issue of Paradise in 2012.